Sonia Sotomayor, associate justice of the Supreme Court of the United States, will join students, faculty, and guests of the University of Richmond School of Law on Nov. 17 at 4 p.m. for a conversation about her life and career, hosted by Dean Wendy Perdue. University of Richmond’s School of Law is bringing together leading education policy scholars to identify and offer ways to address inequality issues in U.S. public schools. 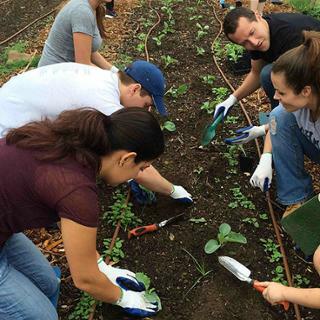 University of Richmond law students will volunteer for Preservation Virginia at Chief Justice John Marshall’s House as part of HandsOn Greater Richmond’s day of service on Oct. 17. The University of Richmond will host an interview with Virginia’s former executioner Jerry Givens on Thursday, September 24 from 5-6:30 p.m. in the Gottwald Center for the Sciences Auditorium. The event is open to the public and a reception will follow. The American Association of Law Library Hall of Fame will award the Marian Gould Gallagher Distinguished Service Award, its highest honor, to Tim Coggins, associate dean for Library and Information Services at Richmond School of Law. More than 3,500 materials, including published research on a wide variety of subjects, are available to the general public through the University of Richmond’s research repository, UR Scholarship. Launched in the summer of 2013, the repository is a collaborative project between the University Libraries and the William Taylor Muse Law Library. Ann Hodges, professor of law at the University of Richmond, has been selected as a 2014 recipient of the Elizabeth Hurlock Beckman Award. This national award was created to recognize academic faculty who have inspired former students to dedicate their work to the betterment of their community. Hodges was nominated by Victor Narro, a former student who became a prominent immigrants’ rights advocate. America's death penalty is a hot and controversial topic. Botched executions and untested lethal injection protocols have been making headlines. The 2014 Allen Chair Symposium, “Lethal Injection, Politics and the Future of the Death Penalty” brings together a diverse group of individuals – all experts with a unique viewpoint on the death penalty – to share their expertise and spark a thoughtful, engaging conversation with each other and the audience.